The main objective of this report is to analysis General Banking Activities of Exim Bank. Other objectives of this reports are to present an overview of EXIM bank limited, to know different types of general banking activities of EXIM bank limited, to evaluate all types of general banking activities of EXIM bank limited, to identify some problems of EXIM bank limited. To present an overview of EXIM bank limited. To know different types of general banking activities of EXIM bank limited. To evaluate all types of general banking activities of EXIM bank limited. To identify some problems of EXIM bank limited. To prescribe some recommendations for the improvements of EXIM bank limited. This research is a descriptive research in nature. This report is based on both primary data and secondary data. The report has been prepared on general banking practice of EXIM bank limited. For the purpose of the study, all branches of EXIM bank limited have been considered as target population of the study. Only one branch of EXIM bank limited has been taken as the sampling unit for the study. i.e. Bashundhara road branch, Dhaka. Random sampling technique has been applied to select sample for the purpose of the study. Observation method and direct interview method have been used for the collection of data that are used in the study. Observation while working in different desk. Face to face conversation with the different clients and officials of the bank. Interviewing with the bank officials of EXIM bank limited, Bashundhara road branch. Official records and observing the total environment. Brochure and prospectus of EXIM bank limited. Annual report of EXIM bank limited. Some internship reports which have been prepared on banking sector. Various published documents of EXIM bank limited. The bank introduced a number of financial products and services since its banking operation. Export import bank of Bangladesh limited is a big-size commercial bank of Bangladesh. But the bank is not much aged. The bank is one 12th year. The bank has not been able to introduce the most modern services yet. The bank has 62 branches and 10 ATM booths. The bank is about to grab the hi-tech facilities for a generalized point of view we can make a simple SWOT analysis for EXIM. SWOT for EXIM can discover the following. Al-Wadiah Current Account follows the Principle of Islami Shariah wherein the bank is deemed as a keeper and trustee of funds as Al-Amana (on Trust). This deposit that operates by taking permission from depositors would be taken to use their fund according to Shariah Principle and depositors would not receive any kind of profit. As such the bank is under obligation to return the entire money on demand by the customer. The account is not time barred i.e. Account Holder can withdraw money as many numbers of times as he wishes in a working day. Mudaraba savings account is opened under the Mudaraba principal of Islami Shariah. Under the above principal the clients is the Shaheb-Al Mal and the Bank is Mudarib. Mudaraba Saving’s accounts are mainly meant for Non-Trading customers who have some potential saving with small no. of transactions taking place. More than one person can open and operate a Mudaraba savings account. A guardian on behalf of a minor can open a Mudaraba Savings A/C. In which case a declaration stating the date of birth of the minor should be obtained from the guardian. OD is not allowed for SB account. The account provides expected half-yearly provisional profit. At least 65% of investment income will be distributed among the Mudaraba Depositors as per weightage allocated for each accounts. It is known as time liabilities or form deposits. These are deposits, which are made with bank for a fixed period specified in advance. The bank need not maintain cash reserves against these deposits and therefore, the bank offer higher rate of profit on such deposits. Mudaraba Term Deposit Receipt (MTDR) account is opened under the Mudaraba (Profit Sharing) principal of Islami Shariah. Under the above principal the clients known as Shaheb-Al Mal provides 100 percent of the capital and the Bank known as Mudarib is the one providing its specialist knowledge to invest the capital and manage the investment project. It is issued by our Bank branches against deposit of certain amount of money by customer(s)/person(s)/organisation, after observing the rules of Anti Money laundering, for a fixed period but not less than one month with a commitment to return his/their deposited money with more or less certain percentage of profit (Tax applicable) after expiry of the period. The minimum amount of MTDR, rate, renewal procedure and premature encashment rules determined & circulate by our Head Office from time to time. These deposits are repayable subject to a period of notice and hence known as time deposit or time liabilities meaning thereby that these are withdraw able subject to a period of notice and not on demand. If the account is encashed after completion of any tenure but before maturity, depositors will be entitled to receive the benefit at the provisional rate of profit of Mudaraba Savings Account. The deposit can be made in multiples of Tk.5,000.00. Monthly installment is Tk. 500/-, 1000/-, 2000/- or 5000/-. Not less than 65% of investment income shall be distributed among the Murabaha Depositors as per weightage. The deposit will bear weightage 1.16, 1.17, 1.18, 1.19 respectively. The savings amount is to be deposited within the 10 th of every month. In case of holidays the deposit amount is to be made on the following day. If the depositor fails to pay 3 (three) installments in a row, then he/she will be disqualified from this scheme and profit will be applicable as mentioned in withdrawal clause. If a depositor fails to pay 5 (five) installments in a row after completion of any one of these terms, then the Bank reserves the right to close the account and profit will be paid as mentioned in withdrawal clause. In case of death of the depositor the scheme will cease to function. The amount will be handed over to the nominee of the deceased depositor. In case of absence of the nominee, the bank will handover the accumulated amount to the successor of the deceased. A single person can open more than one account for saving under several installment amounts. Payable amount will depend on projection and will be adjusted after the declaration of profit at the end of the year. The weightage of deposit will be 1.17. Not less than 65% of investment income shall be distributed among Mudaraba Depositors as per weightage. In case of premature encashment after 3 years but before 5 years profit shall be paid at Savings Rate plus 1.00%. In case of premature encashment after 5 years but before 8 years profit shall be paid at Savings Rate plus 1.50%. In case of premature encashment after 8 years but before maturity profit shall be paid at Savings Rate plus 2.00%. In case of death of depositor before the term, the deposit amount will be given to the nominee according to the rules of premature encashment. In the absence of nominee, the heirs/ successors will be paid on production of succession certificate. The depositor can enjoy loan up to 80% of the deposit under this scheme. Bank reserves the right to change the weightage of deposit & the portion of distribution of Investment Income. At the time of payment of deposit Income Tax on profit shall be deducted. It is an alluring and commonly accepted scheme of EXIM Bank as an investment of steady monthly return. Under this scheme, the depositor is allowed to deposit at least tk.25000 or its multiple amounts for 3 years and in return he/she will receive profit on monthly basis at 12.50% rate. This scheme mainly has been drawn up as well as introduced for the benefit of middle-income group, particularly retired personal. In view of smooth arrangement for performing Hajj, EXIM bank has introduced this scheme under the tenure of 5, 8, 10, 15 and 20 years with nominal amount of deposit per month with a rate of 11%. With a view to assisting the customer for higher education, EXIM Bank has introduced this scheme with convenient terms and conditions. One can deposit tk100 and its multiple amounts at a time. Tenures are 7, 10, 15 and 20 years term with the rate of 11.00%, 11.50%, 11.75% and 12.00% respectively. This account provides the customer with safe and lucrative way of saving their foreign currency. All nonresident Bangladeshi are most welcome to save and remit their wages and earnings from abroad through this account. Fresh cheque book is issued to the account holder only against requisition on the prescribed requisition slip attached with the cheque book issued earlier, after proper verification of the signature of the account holder personally or to his duly authorized representative against proper acknowledgment. At first the customer will fill up the check requisition form. The leaves of the check book under issue shall be counted to ensure that all the leaves and the bank requisition slip are intact and the name and account number shall be written on the cover page of check book. The account number of the customers shall be entered on all the leaves of the check book and its requisition slip. The name and account number of the customers shall be entered in the check book register against the particular check book series. Then the register check book and the requisition slip are signed by the officer in charge of the deposit department. Then the check book is handed over to the customer after taking acknowledgement on the requisition slip and register book. A cover file containing the requisition slip shall be effectively preserved as vouchers. If the ledger keeper notices any defect, he will make a remark to that effect on the requisition slip and forward it to the cancellation officer to decide whether a new check book should be issued or not. The closing of an account may happen. If the customer desirous to close the account. If EXIM rinds that the account is inoperative for a long duration. If Garnishee order is issued by the court on EXIM. To close the account, die cheque book is to be returned to die bank. EXIM takes all the charges by debiting the account and the remaining balance is then paid to the customer Necessary entries are given to the account closing register and computer. In case of joint a/c the application for closing the a/c should be signed by all the joint holders. The slip has been properly filled up. The title of the account and in its number. After checking all these things the teller will accept cash, check, draft, pay order etc. against deposit sleep. The teller will place the cash in the cash in drawer according to denominations. The teller will place signature and affix cash receipt, rubber stamp seal and record in the cash received register book against the account number. At the end of this procedure, the cash officer passes the deposit slip to the computer section for posting purpose and returns the customer’s copy. In order to safe guard the position the paying banker has to observe the following precaution before honoring a check. A check must be looked whether it is an opened or crossed check. The paying officer should see whether the check is drawn on his/her branch. He must see if the check is post dated or pre dated. The office must carefully see the apparent tenor of the check. The officer must compare the signature of the check with the signature on the specimen signature card. The officer may allow overdue against a check if prior arrangement is done with the bank. Deposit is the lifeblood of a bank. From the history and origin of the banking system we know that deposit collection is the main function of a bank is accepting deposit. The deposits that are accepted by Exim Bank like other banks may be classified in two parts. Call deposits from the fellow bankers. A deposit which is payable at a fixed date or after a period of notice is a time deposit. Exim Bank accepts time deposits through Fixed Deposit Receipt (FDR), Short Term Deposit (STD) and Bearer Certificate Deposit (BCD) etc. While accepting these deposits, a contact is done between the banker opens an account in the name of a customer; there arises a contract between the two parties. This contract will be valid only when both the parties are competent to enter into contracts. As account opening initiates the fundamental relationship & since the banker has to deal with different kinds of persons with different legal status, Exim Bank officials remain very much careful about the competency of the customers. The bashundhara road Branch allows its account holders or outsiders to send money or pay to outside branches of EXIM Bank of Dhaka through cheque or cash payment. Money is sent by using telephone or telex machine. The drawer must have an account in the sent bank. A test number is used for this transfer where the drawer must know about it. It is similar to the telegraphic transfer except using a demand note for transferring money from branch to branch of EXIM Bank. It is a non-negotiable credit document. It is generally used as an alternative of money. It can also be used as security of the loan. A bank issues the pay-order in term of a specified fee to safely exchange of money. For transferring money, pay-order can be used as cheques where client of other banks can easily credit through clearing the pay-order. Clearing means such a technique through which bankers can arrange of receipt or payment on mutually issued cheques or bills. Clearing house is an office or a room where bankers gather to meet up their mutual receipt-payment through a special technique. In Dhaka, Bangladesh bank performs the clearing house activities of clearing. A cheque or bill should be crossed, sealed of “clearing house” with the clearing date (the next day of sealing) and endorsed by the authorized officer. Then cheques or bills are sent to the corporate branch of the bank. In the next day, those are sent to the clearing house. Then representatives from the listed banks submit their receipt statements along with cheques or bills. They prepare an aggregated statement of debit-credit through exchanging mutual statements. Thus, clearing house arrange of meeting up the debit-credit balance of each bank by examining the statement. It is indicated that each branch of a listed bank prepares a statement of its own receivable cheques, bills and sends to the head office. The head office of the bank prepares an aggregated statement by accumulating all receivable statements from branches. Then representative from each bank keeps a copy of statement at its own specific desk in the clearing house. Thus the listed banks transfer their “out- clearing” and accept their “in-clearing” statements. Then they find out their credit and debit balance by differing their out-clearing & in-clearing figures. Record all transaction in the cash book. Record all transaction in the general and subsidiary ledger. Prepare daily fund function, Weekly position, periodic statement of affairs etc. Prepare necessary statement for reporting purpose. Pay all expenditure on behalf of the branch. Make salary statement and pay salary. Branch to branch fund remittance and support for accounting treatment. Dispatch division mainly operates the function of dispatching the intimidation latter to the client, Inter Bank Credit Advice (IBCA), Inter Bank Debit Advice (IBDA), outward bill collection (OBC) to the other banks for internal transaction with the banks. Dispatch division receives the letter and documents coming form Head Office, another branches, another bank, negotiating bank (in case of Import), and opening bank (in case of Export) in the name of The EXIM Bank Limited, Dhaka, Bashundhara road branch. The officer engaged in the dispatch division maintains two types of register books to keep entries of those documents’ particulars. When the officer receives papers form outside the branch, he Puts seat on that paper “Received” and writes date and time on that paper. When it is needed to dispatch any document outside the branch, it is required to give a dispatch no. on the paper. The officer put number non that paper and on the basis of nature of document he takes decision how it has to be dispatched. Some time he gives the document by hand to other party. At the beginning of the month, he withdraws. Money form bank by issuing a debit voucher for the payment of dispatching bills. He writes all the expenses of dispatching in the register and payment. At the end of the month, he calculates his total expenses. If the debited amount is surplus of the actual expenses, he refunds it to the bank by creating it credit voucher. The bank is not still technologically updated. There is a great problem of their online system and their server and also their software which they use for their daily transaction and for their working purpose, for that reason sometimes people may face problem to get their services. For opening an account the customer must need reference. But sometimes customer may fail to manage reference for opening an account. So in that case they may sometime lose their fervor to open an account in that bank. There cash payment procedure is traditional, like withdrawing money by using cheque because their ATM card facility is very poor to compete with other banks. They have only 10 ATM booths in the country. In case of opening an account, some big parties come to open account with reference of high officials of the bank. They do not submit all papers that is required for opening an account & in future they do not feel any urge to submit there papers but already they become accounts holders. I think in this case the authority is violating the rule. Many banks have customer relation officer in all branches for solving customer’s problem by answering queries of customers. But this branch of EXIM bank doesn’t have this. EXIM bank’s branch is very few, that is 63 only. Now a days the world is going very fast. Now most of the banks provide online services, although EXIM bank also provides such services but in some limited area. They can take more initiative about that. In the total banking system it is necessary to implement modern banking process instead of traditional system. It should be more computerized and update ATM card facilities to their customers by increasing number of ATM booths. Customers who failed to give reference for opening an account for them the bank should be flexible. EXIM bank should appoint customer service officer in all branches so that customer can get information easily. EXIM bank should open more branches in Dhaka city as well as all prime locations of Bangladesh and improve its service quality too; otherwise it will fall behind other private commercial bank. The entire department should be well informed regarding their goals and objectives. It is essential to execute company objective into individual target. The authority should arrange extensive training & development for their employees so that they can successfully perform their arranged tasks and duties. If EXIM bank increases number of employee they can provide more satisfactory service to the customers. PC banking software is not sufficient that can help the bank to provide speedy services to customer & internal uses. Therefore, the concerned authorities should consider replacing the PC bank system with more advanced banking software. 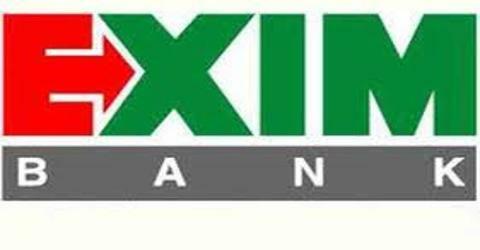 EXIM bank should go for aggressive advertising and promotional activities to get a broad geographic coverage. From the practical implementation of customer dealing procedure during the whole period of my practical orientation in EXIM bank limited I have reached a firm and concrete conclusion in a very confident way. I believe that my realization will be in harmony with most of the banking thinkers. It is quite evident that to build up an effective and efficient banking system to the highest desired level, computerized transaction is a must. EXIM bank is a private sector bank having a small market share of the industry. Although it is a third generation bank facing government deposit restrictions, it has all the potentials to penetrate in the market. If the weaknesses are addressed appropriately and opportunities are explored keeping in view the threats behind with a stable and adroit management having regard to appropriate corporate governance and modern automation technology, it is expected that EXIM bank advances up in the ladder of success in the coming years.